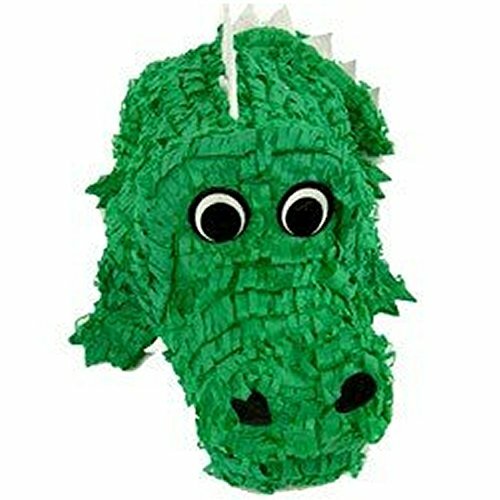 This super fun crocodile pinata is one of kids favorites use as party decoration or pinata game to match any safari, jungle or zoo party. This pinata is 20 inches long by 6 inches tall by 6 inches wide. Decorated with tissue paper and print cutouts. Pinata holds up to 3 lbs. of candy and toys enough for 8 guests (sold separately).